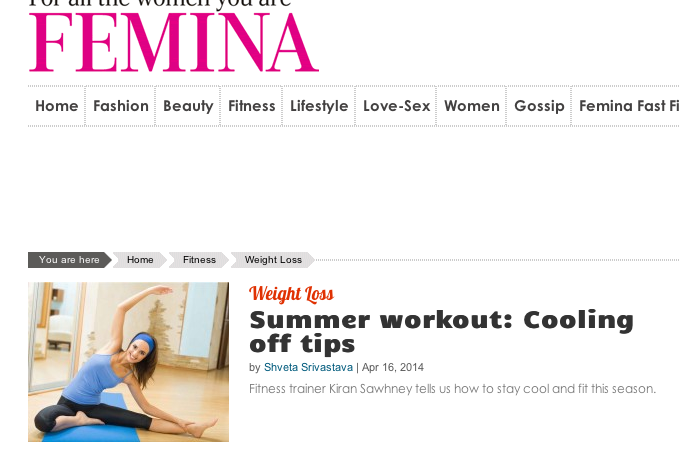 My fitness article and tips this month in Femina. Here is the link. And in Hindustan Times. Here is the link.